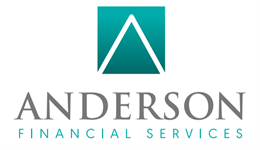 Our Mission & Values | Anderson Financial Services, Inc.
At Anderson Financial Services, our mission is to provide sincerely superior service and personalized financial strategies, one decision at a time. Professionalism - Integrity is at the heart of AFS. We do what we say we are going to do. Always. Expertise - We value the wisdom and experience that can only be achieved through years of serving clients. We are confident in our knowledge and ability to help people. Vision - We view every client's financial situation from high above and with an eye toward achieving their long-term objectives. Strategy - Executing transactions is not enough. We believe the best path to achieving financial independence is rooted in a strategic plan. Service - AFS is sincerely committed to high touch service. We ensure every client feels valued and important.